NSA’s 73rd Annual Convention is coming to Minneapolis on August 22 through August 25, 2018! 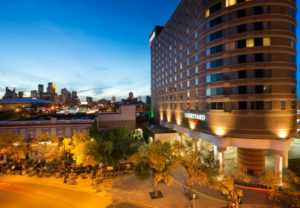 There is still time to register for the 73rd Annual Convention in Minneapolis this month. Like every exciting NSA event, attendees can expect social and networking opportunities as well as the excellent education offerings. We kick off the programs with the popular NSA EA Exam Review Course from Monday, August 20 – Wednesday, August 22 before convention events begin. Business sessions and elections for will also be held for over the course of the convention. Members who have completed one year of membership by July 15th, are encouraged to cast their ballots in person, or by proxy. New for this year: sign up for a financial statement critique on Thursday. See registration forms for more details. We invite all members and practitioners to attend, vote, and take advantage of all the programming.